One week until the Big Day! The Christmas countdown is well and truly ON. Still not sure what to serve at your Yuletide soiree or seasonal feast? Fear not! We’ve got three delicious sippers up our sleeves, and they couldn’t be simpler to recreate. Mulled wine, anyone? The answer is always yes, but capturing the taste of Christmas in drinkable form is not necessarily straightforward. Step in Christmas Mulled Cup! What is this Christmas Mulled Cup? It’s our fabulous solution to concocting the most delicious and seriously impressive mulled wine in the comfort of your own home. A blend of VSOP Cognac, Vintage Port, cold-distilled orange and lemon peels, cold-distilled fresh root ginger, and fabulously festive tinctures made from all kinds of Christmas spices. The Christmas Mulled Cup. You’ll only need 75ml for now. A bottle of good, fruity red wine. The juicier the better! Simply throw the whole lot in a pan, gently heat and serve. Just wonderful! Mulled wine not your thing? Try a Christmassy Cherry Sour! While Mulled Wine does wonders when out in the cold or snuggled up by the fire, sometimes you want something with a little bit of a pick-me-up to get that Christmas party started. 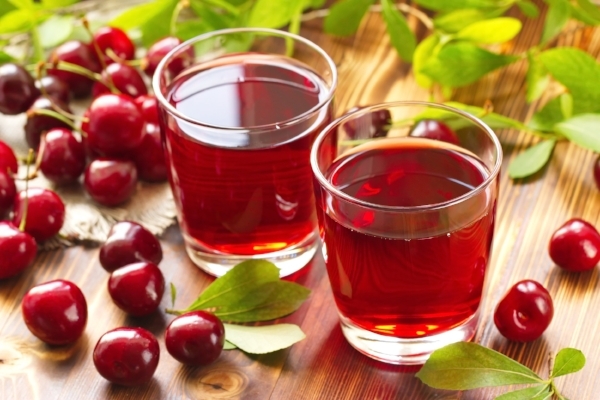 Why not try a Cherry Sour with our Cherry Brandy for a seasonal twist on the classic? The secret ingredients (aside from the delectable Cherry Brandy, of course! ), are the lemon juice and sugar syrup, which combine for a magnificent sweet/sour mix. And this one is shaken, not stirred, so fish out your shaker and prepare to wow your Christmas guests. The Cherry Brandy. 35ml makes one serve, you can double the quantities up in your shaker for speed if you’ve got a few to make. Chuck them all in, shake over ice, and then strain into an ice-filled rocks glass and top with soda. Garnish with a cherry and lemon slice for a flourish! Frankly, it’s not Christmas without the Sloe Gin making an appearance. 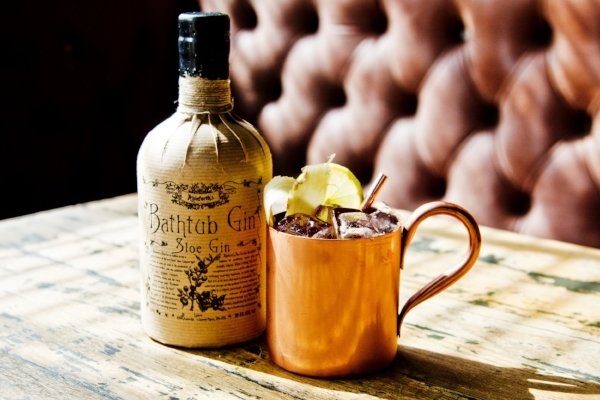 Bathtub Gin’s is a belter, with almost half a pound of sloes in every bottle! Other botanicals include juniper berries, cassia, coriander, cloves and orange peel, which are all blended with copper-pot-still spirit. This classy, character-filled Sloe Gin is ideal in a Sloe Gin Mule – and the best part? It’s super easy to make! Build over ice in a highball glass and top with ginger beer. Add a lime wedge as a garnish and voilà! Christmas Sloe Gin cocktails are go. That’s the drinks sorted, then. Enjoy! Christmas Mulled Cup, Ableforth’s Cherry Brandy and Bathtub Gin – Sloe Gin are available from all good drinks retailers.